Spoon Jackson grew up in a family with fifteen brothers in the heart of the Mojave Desert in Barstow, a small town in California. At the age of 19 he became involved in a dispute that resulted in a killing. After an error-ridden racist trial in 1977 he was overcharged and sentenced to Life Without Possibility of Parole (LWOP). The court fabricated "special circumstances" which were added to the case. It came about only because the DA tried to get Spoon the Death Penalty. Spoon never denied that he was responsible for the killing but he did not commit nor plead guilty of the special circumstances and there was no evidence to prove them. In the US it's not possible to get a new trial once sentenced to LWOP. In 1985 Spoon began a four year poetry course at San Quentin State Prison led by writer and teacher Judith Tannenbaum who saw his talent for writing and also became a long time friend and mentor. 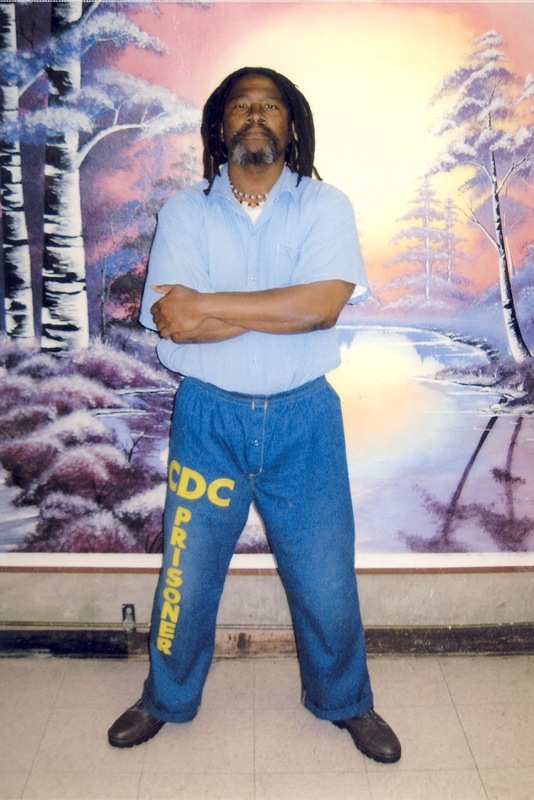 Prisoners, staff and poets from the outside began calling Spoon "poet". He has won four awards from PEN American Center Prison Writing Program. He played Pozzo in the 1988 production of Samuel Beckett's play "Waiting for Godot" directed by Jan Jönsson which brought him international attention. Read Spoon's own story in his book By Heart. In 2003, Michel Wenzer produced a documentary in Sweden entitled "Three Poems by Spoon Jackson." The film included recordings of Spoon reciting his poems, taped from telephone calls. Spoon had two books published in 2010, Longer Ago - Poems by Spoon Jackson and By Heart - Poetry, Prison and Two Lives, a double memoir by Spoon Jackson and Judith Tannenbaum. He currently writes articles and essays for magazines. Michel Wenzer made the full length documentary: "At night I fly - Images from New Folsom" named after one of Spoon's poems. It premiered in November 2011 in Sweden and won the prestigeous "Guldbagge Award" (the "Swedish Oscar") for best documentary of the year. It has also been screened in other European countries and the US. The documentary was initially intended to focus on Spoon and his work but prison authorities didn't allow for only one prisoner to be portrayed. Michel then decided to film a group of prisoners participating in the Arts In Corrections program where Spoon is one of them. It is a film about prison and the transformative power of art. The books and films has helped Spoon get more publicity and he often receive suggestions from artists in different countries to do collaborative work, write articles, essays and poems for magazines, schools, prison support groups and anthologies. "Freedom for the prisoners" and "Words of realness" two works for choir and orchestra by Swedish composer Stefan Säfsten based on Spoon's poems, premiered in Stockholm, Sweden. In 2006 the first work was performed in the prison where Spoon is housed on a US tour. Two CD's has been produced with their collaborative work. They are now working on a musical based on both CD's and chapters from the book By Heart.